A & G Willson Earthmovers Pty Ltd is a proud South Australian family owned and operated business, that has been in the industry for 30 years. A & G Willson Earthmovers undertake civil, commercial and agricultural works for a variety of clientele. 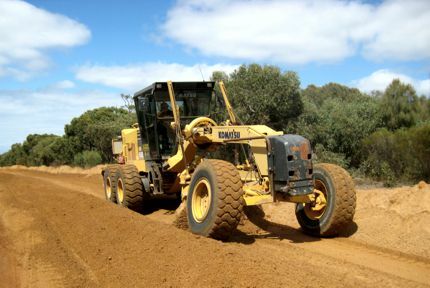 A & G Willson Earthmovers has a wide range of experience in many different areas of earthmoving ranging from bulk earthworks, roadwork construction, laser levelling as well as demolition and crushing. We operate over 20 different pieces of modern plant and equipment to service all aspects of the business. We are continually growing and changing our business to suit the needs of our existing clients as well as a broader client base. We strive to deliver the projects we carry out to the highest quality, on time and on budget using the latest equipment and technology.